Originally from Norway, Christian spent many years in the USA and United Kingdom, with English as his native language. With a background in business, having founded his own construction company, he later made the decision to move into the superyacht sector thanks to a lifelong passion for yachting and boating. After spending several years working on private yachts in the south of France he returned to Norway to undertake sales and marketing work before moving into the brokerage sector. Worked for Norway’s biggest brokerage company, where he sold over 70 boats in just under 3 years. Christian was awarded the coveted ‘broker of the year award’ in 2015 and 2016. 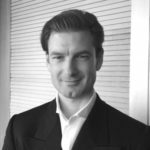 Thanks to his strong mix of business skills and yachting experience Christian will prove invaluable to the IYC client base, specialising in both sales and charters in the popular Norwegian fjords and the Mediterranean. Christian joined IYC in 2016 as Yacht Sales & Charter Consultant, based full time out of the Monaco office.